Paul Auster’s magnificently conceived new novel, “4 3 2 1,” gives four different versions of main character Archie Ferguson’s life. Auster discusses his book Thursday, Feb. 9, at Town Hall Seattle. How would our lives be changed if we had taken different paths during our childhoods based on significantly differing life events or circumstances? 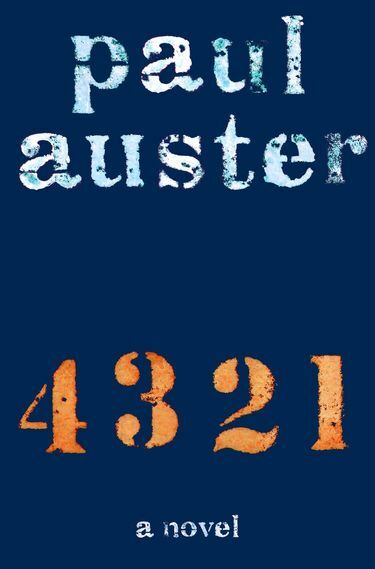 That question animates the magnificently conceived new novel by Paul Auster, “4 3 2 1” (Henry Holt, 866 pp., $32.50). The author of more than a dozen novels, Auster occupies a unique niche in American fiction, renowned for his mind-bending sleights of hand and inventive fiddling with narrative points of view. He also is a peerless storyteller. With his new novel, his first in seven years, Auster takes authorial omniscience to a new level, spinning four separate but simultaneous tales about the life — or lives — of Archie Ferguson. The book begins conventionally enough, with the arrival of Archie’s grandfather in New York from Eastern Europe and his struggles to make a living and raise a family, including Ferguson’s father, Stanley. The stories begin to separate and diverge after Archie is born in 1947, hinging in particular on the fate of his father’s furniture store in Newark, N.J. In two of the stories, the store burns down, one of them killing his father in the process. Subsequent life permutations — deaths, divorces, remarriages, love interests — have varied impacts on the four Archies. The author of “4 3 2 1” will discuss his book in conversation with Paul Constant at 7:30 p.m. Thursday, Feb. 9, at Town Hall Seattle, 1119 Eighth Ave., Seattle. For ticket information, go to elliottbaybook.com. The novel isn’t only about differences. The stories share the essence of Archie’s winning personality: as a boy and teen, he is an appealing mix of jock, bookworm and good friend to both boys and girls. He is endearingly close to his mother, Rose, enamored of Amy Schneiderman and has a passion for writing. Auster’s spot-on depiction of boyhood friendships — like the one Archie has with summer-camp pal Artie Federman — and the first blooms of love and intimacy with Amy are lovely and memorable. “4 3 2 1” is also a brilliant compendium of the tumultuous 1960s: the anti-war and civil-rights movements; political assassinations; and the film, music, literature and sports of the era. It is mostly set in New York, which was at the epicenter of political and cultural changes, but also a city in decline. The author can be heavy-handed in the telling, often employing the style of an old-fashioned narrator (the play “Our Town” comes to mind) with little dialogue, which can lead to sentences that are conspicuously wordy. Yet as odd as it seems to say about an 800-page tome, the book doesn’t feel too long. While readers need to keep their wits about them to follow the four story lines, “4 3 2 1” is impressively smooth and plausible. Chapters are numbered in a way to help the reader keep track. And really, isn’t a novel only able to capture a small part of a life story? As Auster notes: “Ferguson understood that the world was made of stories, so many different stories that if they were all gathered together and put into a book, the book would be nine hundred million pages long.” In a way, Auster has given us only an abridged version of Archie Ferguson. David Takami David Takami is a writer who lives in Kenmore.